We are planning to hold v8.0 of our annual Summer tournament on Sunday, May 26th, 2019*. As usual, it will be a one day event, open to teams from anywhere… teams from existing clubs, cobbled together teams of friends, and maybe even a few cobbled together teams of people who’ve never played together before too. As long as people show enough interest, there will be separate sections for adults, juniors (U16) and kids (U12, monokorf). 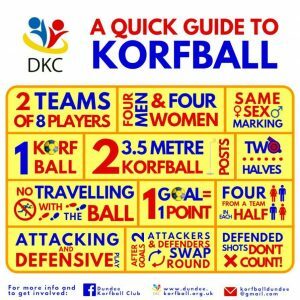 Anyone who’s interested in either entering a team, or just coming along and playing for a scratch team, should get in touch with Mary by email (korfballdundee@gmail.com) or check out our Facebook event for more details. 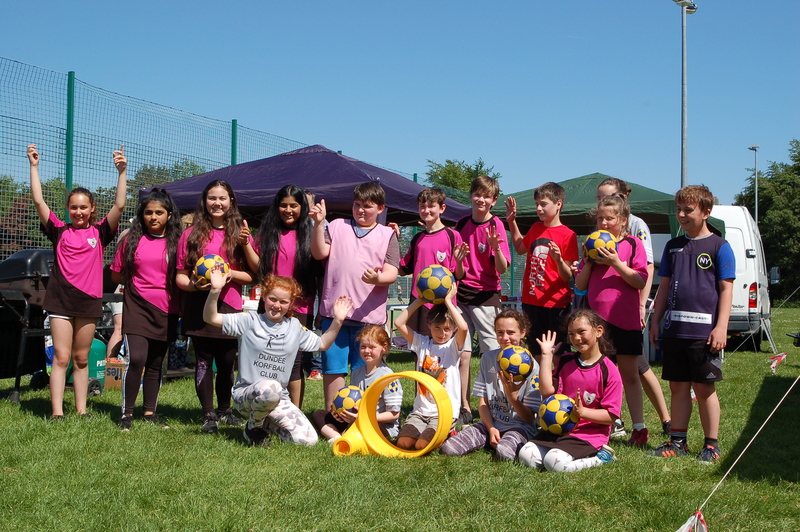 * As in previous years, Dundee Day is being scheduled for “the day after” St. Andrews’ magnificent beach tournament, so we are hoping that quite a few of the beach teams (one beach team = 2 boys + 2 girls) will hang around and pair up to form full teams (4 boys + 4 girls) on Dundee Day. You should contact Saints directly (korfball@saints-sport.com) if you want to enter the Beach Tournament on the Saturday. 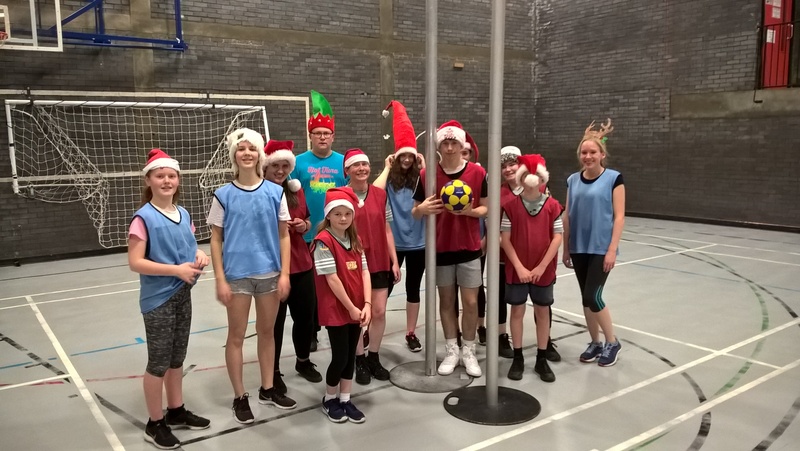 Another year gone, and the results are in: following an immensely competitive competition, some of the competitors went in competitively, some came out quite competitively, and quite a few others simply competed in their own competition(s). 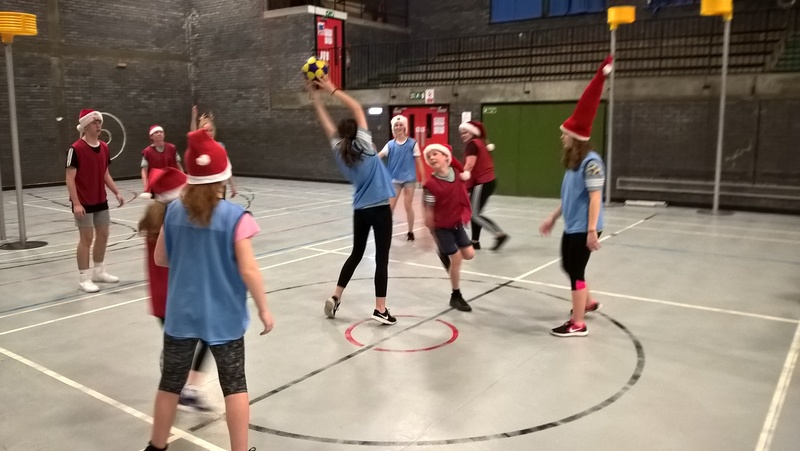 Dundee’s junior korfball team will host the next installment in a series of inter-club games against Glasgow KC at the Lynch Sports Centre in Dundee from 2:00 to 4:00pm on Sunday, August 12th. 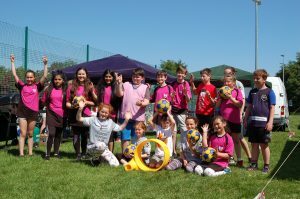 The previous meeting between the two clubs, during Dundee Day 2018, was a great success, and both sets of kids have been looking forward to another fixture ever since. Let’s hope it’s a good one, eh? Spectators welcome! 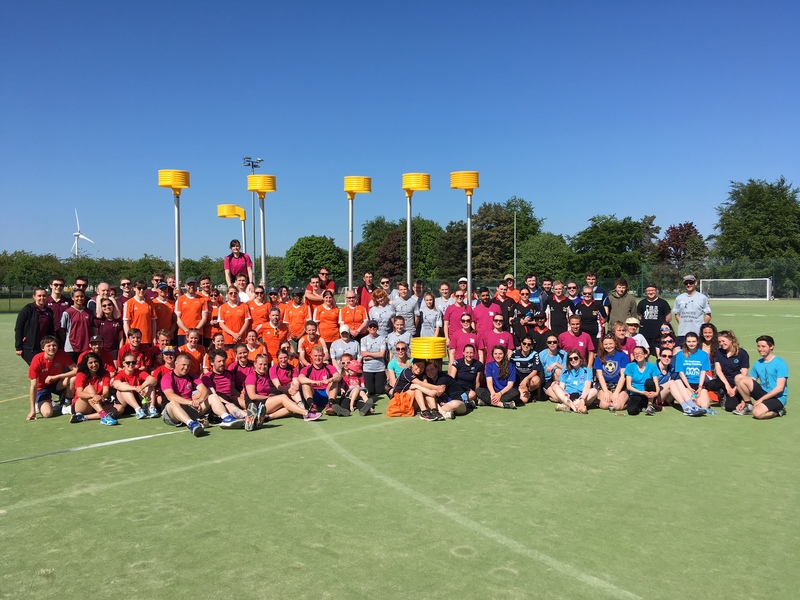 Dundee Korfball Club hosted their 7th annual summer tournament on Sunday, 27/5/2018, and fielded a record number of home grown players in the process. 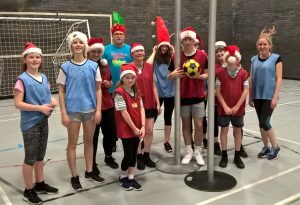 A total of twelve teams participated in the whole-day adult competition, with a further four junior teams playing in a lunchtime competition for 8-14 year olds. 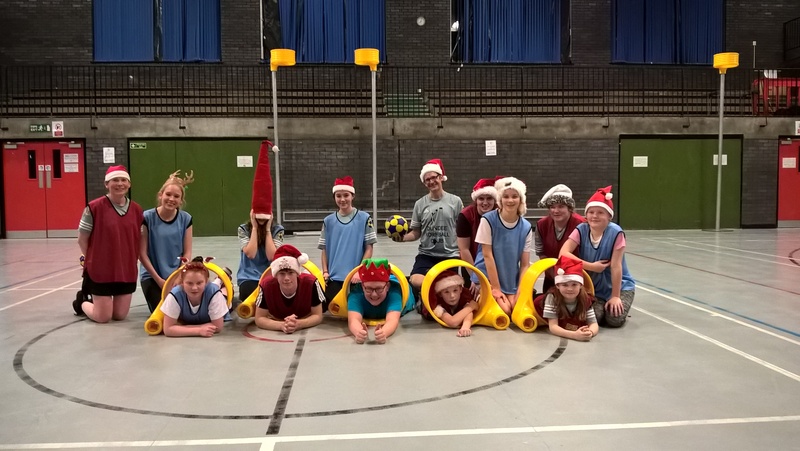 City teams came from as far away as Manchester and Glasgow, with University teams from Lancaster, Strathclyde and St. Andrews also taking part. 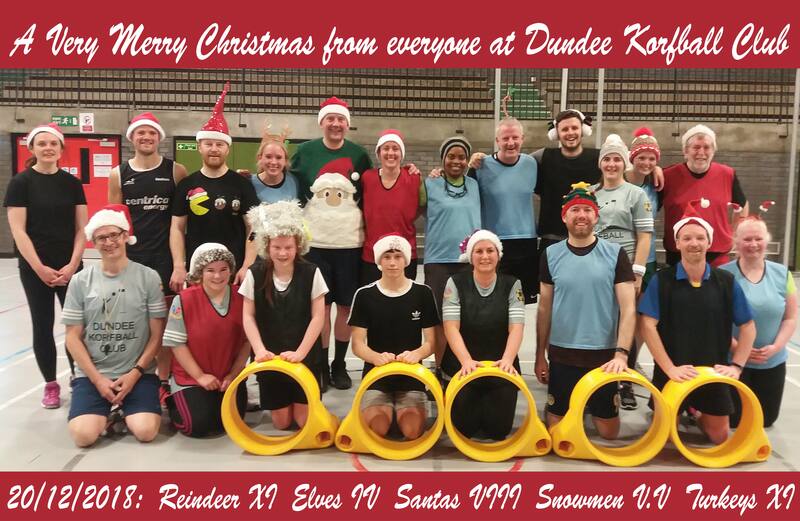 It was Dundee’s biggest ever home turnout, with 37 players participating in the adult competition, and 8 more in the juniors: not a bad effort for a club that was only formed 7 years ago! The weather was fantastic too, with sunshine and light winds making for perfect playing conditions all day long. And the korfball? Well, that all seemed to go just fine, as usual. 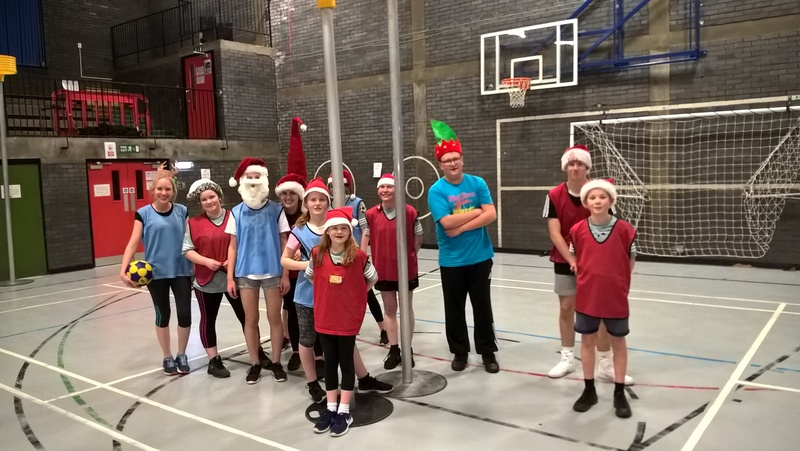 In the adult competition, Glasgow KC just pipped Saint Andrews’ Alumni to the trophy, with excellent performances from Strathclyde University and Manchester Hawks earning them 3rd and 4th places respectively. Saints took 5th spot, just ahead of Dundee’s Dragons, with a scratch team of Sinners taking 7th place. 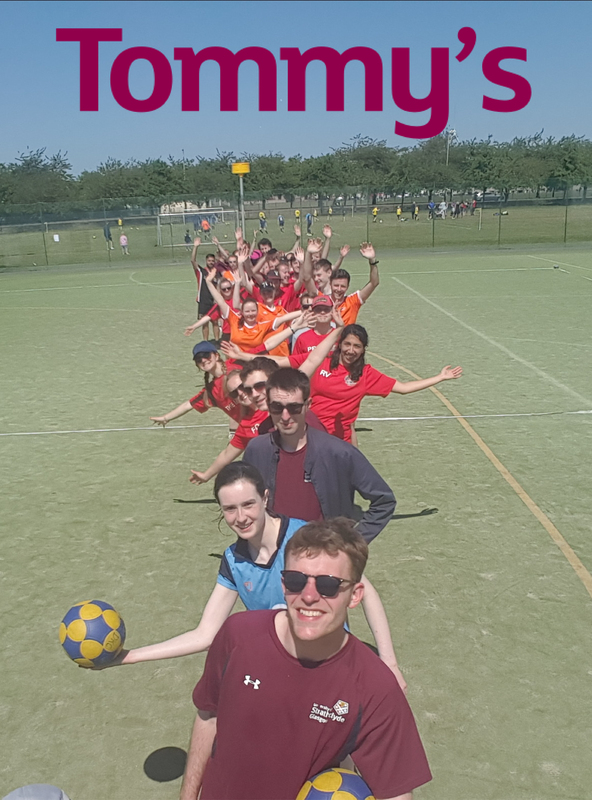 This year’s Dugong squad narrowly edged out the Dolphins, with Lancaster’s Old Boys, Dundee’s Young Guns and Lancaster Uni propping up the lower end of the table. In many people’s eyes though, Dundee’s Young Guns were the team of the day, notching up some creditable performances against some much bigger and stronger sides. They also gained their first ever victory against a visiting team in the competition, and even when they weren’t winning on goals, they won more than their fair share of praise from their opponents. In the 8-14 y.o. junior competition, Glasgow’s Frogs came out clear winners in a 4-way round-robin contest between teams of 4. 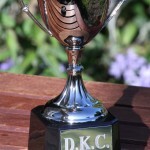 Second place went to Dundee’s Inbetweenies, with Glasgow’s Wee-Gees and Dundee’s Ardunno’s tying for third place. Biggest winners of the day? Tommy’s, our nominated charity for the day. 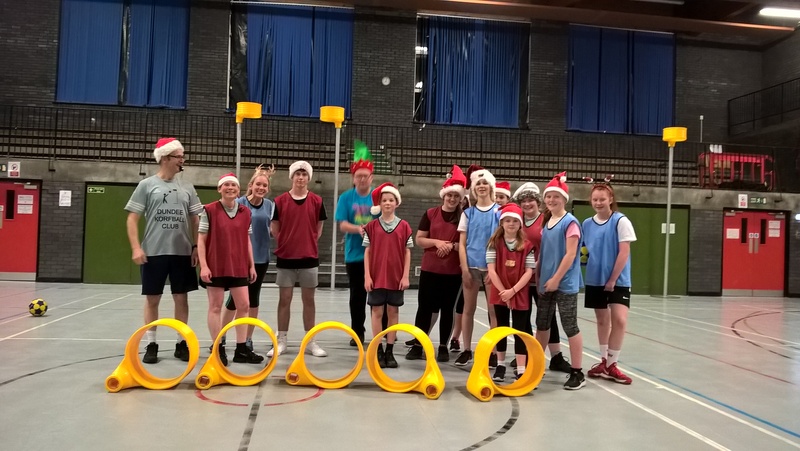 A lunch-time shooting competition raised £38 in support of Tommy’s, who fund research into stillbirth, premature birth and miscarriage, and provide information for parents-to-be. Best burger-makers: the flaming Flemings, once again. Best cake: impossible to tell for sure, but the tablet looked highly sought after, and nobody seemed to go home hungry. 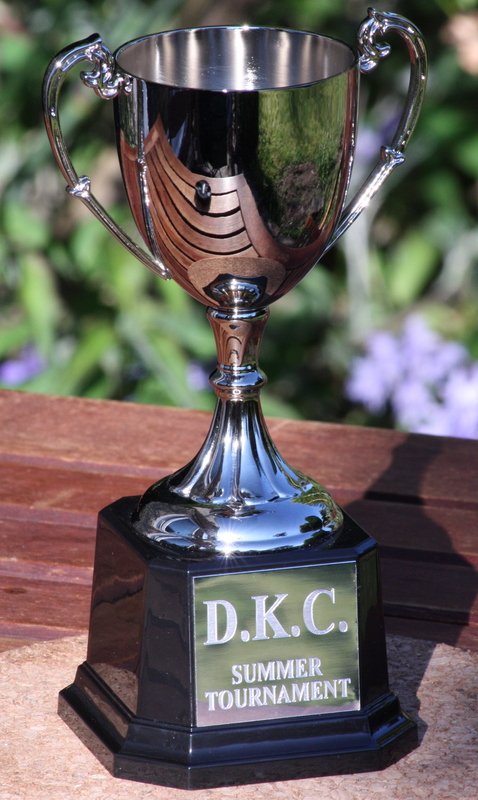 Many thanks to all the bakers and confectioners out there: I think DKC is earning an excellent reputation among the visiting teams. Best tent-building: shared between umpteen members of the club. And the McHugh’s are definitely worth a special mention simply for persistence. Best pitch taping: Eleanor from Crewe, without a doubt. This year’s killer queen: Calum Lindsay (Glasgow). Longest journey: Yuki Kishimoto, all the way from old London town. Hope you had a good week, Yuki! And this year’s MVP? Caroline Dodd, tournament secretary extra-ordinaire. Full minutes of the AGM will be circulated to members in due course. Mad March 2018 – yet another FREE Beginner’s Course! We are planning to hold v7.0 of our annual Summer tournament on Sunday, May 27th, 2018*. As usual, it will be a one day event, open to teams from anywhere… teams from existing clubs, cobbled together teams of friends, and maybe even a few cobbled together teams of people who’ve never played together before too. As long as people show enough interest, there will be separate sections for adults, juniors (U16) and kids (U12, monokorf). 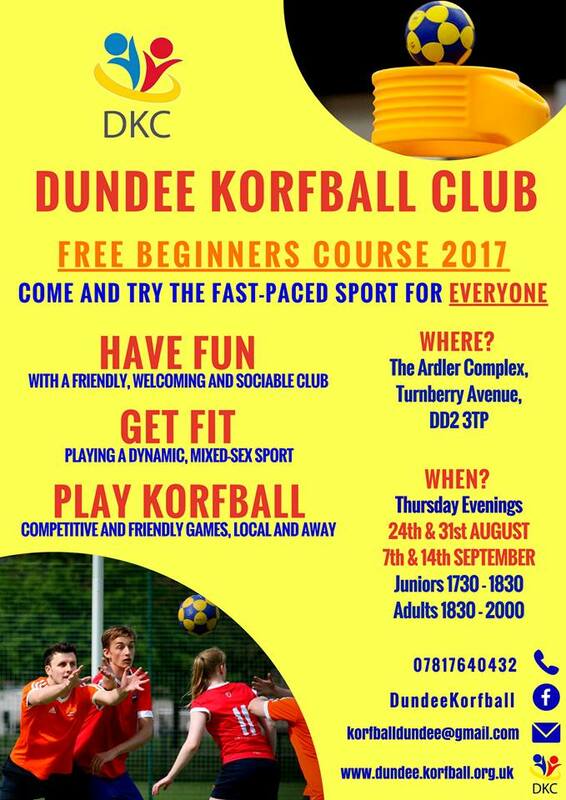 Anyone who’s interested in either entering a team, or just coming along and playing for a scratch team, should get in touch with Caroline by email (korfballdundee@gmail.com) or check out our Facebook event for more details. So, another year came, and another year went. And everyone’s still smiling; even Joel, who’s knee put itself forward to win the ‘worst injury of the day’ award. 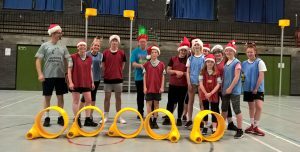 Fourteen teams turned out for Dundee Day, v6.0, including the newest, youngest team in Scotland (Dundee’s Yunguns), and an enthusiastic scratch team cobbled together at the last minute. Many thanks to all the spare players from Lancaster, Glasgow and Dundee for pulling that off. The weather finally got its act together too, with nothing more than a couple of light showers left after the previous day’s total washout. Weirdly, some of us even managed to get a little dose of sunburn; I’m not sure that I actually noticed the sun, but it must have poked its head out for at least part of the day. 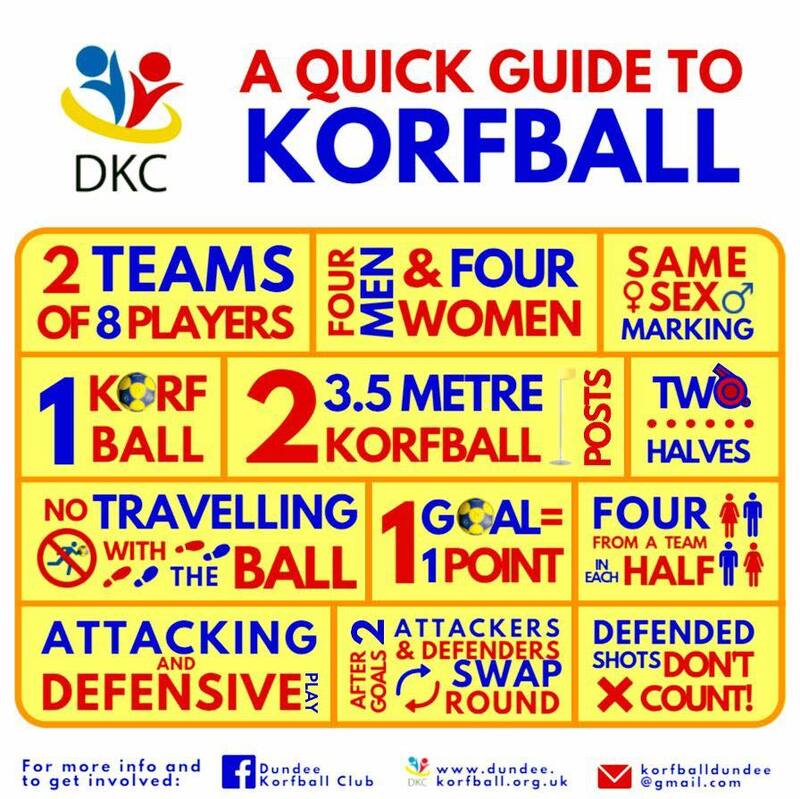 And the korfball? Well, that all seemed to go just fine. Mavs A came out clear winners for the third year in a row, with strong performances from Mavs 1, Lancaster’s Alumni (SAS Ligership), Manchester Hawks and St. Andrew’s Sinners. Dundee’s Dragons put in a few good performances too, comfortably finishing top of the 4 local teams. At the other end of the table, Dundee’s Dugongs narrowly improved on their stunning performances in previous years by actually winning some matches, just edging out the Yunguns on head-to-head results. 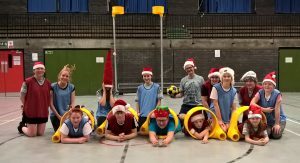 Dundee Dolphins came out on top of some very close mid-table battles with Saints, Saints Alumni, Lancs Uni and GlasClyde (a jovial mixed-up bunch from Glasgow and StrathClyde University). Several people got their first tastes of refereeing, and did a great job too from what I saw. 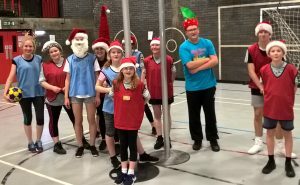 Many thanks to the more experienced refs for shadowing the newbies too – this is a great thing to see and much appreciated by those of us with one eye on development. Biggest winners of the day? : Macmillan and Orchid, the two nominated charities from our raffle and lunch-time competitions. Worst injury of the day : undoubtedly Joel, from Lanc’s Alumni. Best medic: diplomatically shared between Rod F. and Paul S.
Best cake: impossible to tell, so diplomatically shared between Terri, Anna, Kat, Caroline, Lesley, Fi, Steph and the McHugh family. Best pitch taping: Eleanor, without a doubt. Best handwriting: Adam (well done Steph, he’s a keeper). Best long-shot (M/F/junior): Andy Cowton, Rosie Lloyd and Kate Austin. Longest journey: Questionable, but probably Mike Holdcroft from Newcastle-under-Lyme (Mike seems to have spent many hours criss-crossing the UK in search of Dundee this year. Hopefully someone can sort him out with a nice sat nav next time anyone lets him out).